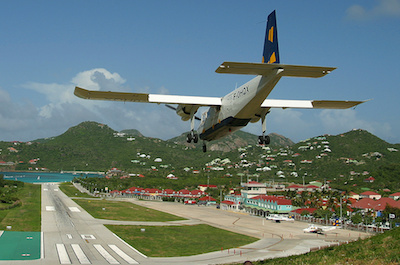 Rémy de Haenen Airport (SBH) is located on the French Caribbean island of Saint Barthélemy (also known as St. Barths). Pilots are required to have special training to land on the short runway. For many visitors, the landing is an adventure in itself!